And Happy Motif no 3! Motif 3 hot of the hook! 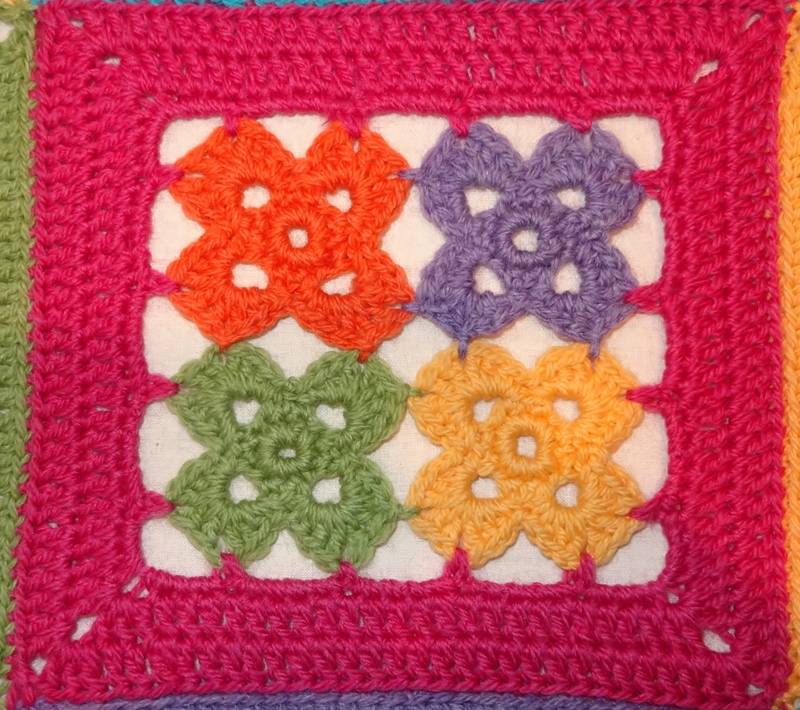 I love this – I called it Four Flowers (for obvious reasons!) and I made 9 of them in random colours to go into the blanket; one in the centre and the other 8 spread out evenly. 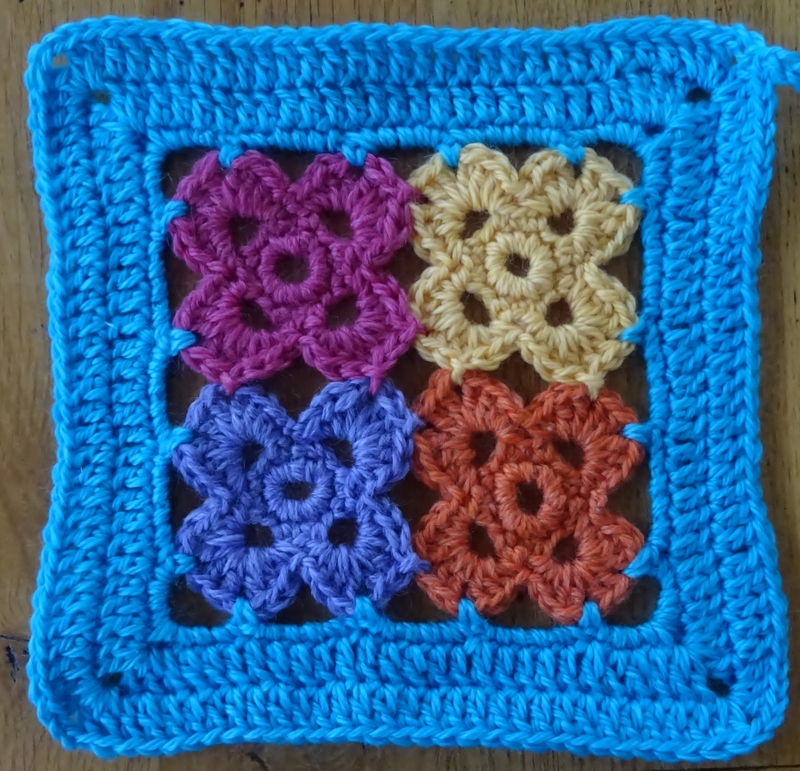 I have already put hook to yarn and started the first one for the CAL blanket I am making along with you – I’m using the bright colours as flowers and several background colours. I will share photos once they are complete. This is gorgeous! Can’t afford to buy the pattern now, but I hope it’s okay if I follow along anyway.